The cryptocurrency project Nimiq recently announced their strategic partnership with WEG Bank AG and Agora.Trade to create an innovative crypto-to-fiat bridge. This partnership has been further solidified with Nimiq announcing on the 2nd April 2019, that it had acquired a 9.9% stake in WEG Bank. We’ll explore the potential implications of the acquisition and how it could play a major role in shaping the landscape of the wider cryptocurrency and fin-tech markets. What’s Come Out Of The Acquisition? The acquisition of the bank stake means that Team Nimiq has committed to dedicating their efforts and first-class development skills to execute the project’s blueprint for Nimiq OASIS, a revolutionary crypto-to-fiat bridge. This consumer-facing fin-tech solution is focused on connecting the traditional bank network, through WEG Bank, with the cryptocurrency markets via Agora.Trade. Nimiq OASIS is the bridge that connects the two ecosystems and enables the transfer of value, thanks to the solution making fiat currencies like the EUR, blockchain compatible. The smart thing about Nimiq OASIS is that it allows value to be exchanged without a single, centralized intermediary (like a payment processor) controlling the two assets being exchanged, and without the private keys of the crypto asset ever being entrusted to a third party. Even mainstream audiences have heard about the QuadrigaCX scandal earlier this year, where the private keys for $190 million in crypto assets were allegedly inaccessible to the exchange. This perfectly illustrates why so many cryptocurrency enthusiasts caution against entrusting your crypto’s private keys to an exchange. At one end of the crypto-to-fiat bridge, you have WEG Bank, which acts as the gateway to the traditional banking network via SEPA instant. This means that any bank account customer as a SEPA instant bank account could buy or sell crypto for fiat using their bank account. At the other end of the bridge, you have Agora.Trade, which is a decentralized exchange. Nimiq OASIS is the bridge that connects the banking and crypto markets and allows value to be exchanged between the two. This basically means that you could buy Bitcoin using your bank account or sell crypto for fiat easily. Nimiq OASIS could indeed be that standard that moves value between crypto and banking systems using a regular bank account. What’s even more exciting is that the target go-live date for Nimiq OASIS is Q4 2019. The first iteration of Nimiq OASIS is set to support Bitcoin, Ethereum, NIM, and the Euro. However, the Nimiq Team have also revealed that their vision is to expand the impact of Nimiq OASIS to other fiat currencies and crypto assets. Furthermore, Nimiq has stated they are open to integrating other banks and cryptocurrency platforms into Nimiq OASIS to provide even more customer bases with the option to buy or sell crypto conveniently and cheaply. The acquisition of a stake in WEG Bank further solidifies Nimiq’s strong partnership and strengthens the bank’s commitment to Nimiq OASIS. The crypto payment processor market, which is regularly used by merchants accepting crypto as payment. The $2.8 billion stable coin market could see some of its demand eroded if users choose to hedge the volatility of cryptocurrency with real fiat instead of using some unaudited stable coins. Over-the-counter (OTC markets) are reportedly huge with some saying that the trade volume could be three times higher than exchanges. All OTC does is match crypto sellers with fiat holders wanting to buy crypto. The downside is that trading on OTC markets can be expensive and if Nimiq OASIS scales to a point where it has large amounts of liquidity, then some OTC customers may choose to use this new solution instead. What’s interesting is that it seems that other cryptocurrency platforms are realizing the potential of Nimiq OASIS. Nimiq recently announced a collaboration with Binance-owned Trust Wallet which saw NIM added as a supported cryptocurrency and the deployment of a NIM faucet into the app. Viktor Radchenko, the founder of Trust Wallet also commented that he was “excited about this new collaboration and recognizes Nimiq’s great potential”. There is little doubt that Nimiq OASIS could be a great addition to Trust Wallet and could add significant value. Nimiq is a censorship-resistant, decentralized payment system in which the NIM token is transacted as digital cash. One of the unique things about the project is its browser-based blockchain approach, the benefit of which is that users can connect to the blockchain with just a browser. This means that that Nimiq users enjoy an installation-free ‘it just works’ feel which sets it apart from other cryptocurrencies. The Nimiq Team have also devoted great effort to make using NIM as simple and as user-friendly as possible. To Nimiq, simplicity is the key to mass cryptocurrency adoption. In addition, Nimiq is home to a rapidly growing community and an extensive ecosystem of apps. With Nimiq OASIS targetted for a Q4 2019 release, the growing list of high profile strategic partnerships and the acquisition of a stake in WEG bank, Nimiq seems to have all the tools at their disposal to become one of the leading cryptocurrency payment systems. Indeed, plans already appear to be in place to expand merchant adoption with a list of merchant targets being publically accessible in the Nimiq forum. 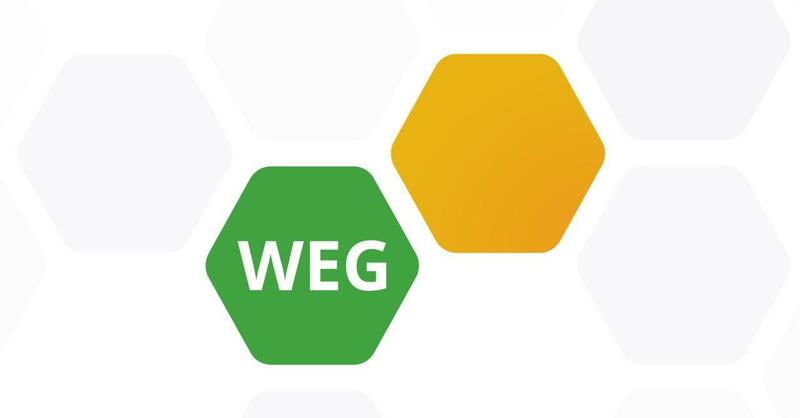 WEG Bank is one of the top institutions in the German real estate banking sector. It was established in 2015 by founder and CEO Matthias von Hauff and is currently pursuing expansion into the corporate, cryptocurrency and retail sectors. Twenty cryptocurrency projects are set to be selected for corporate accounts at the bank this year, with Lisk already being announced as one of those lucky projects. Agora.Trade is a Swiss-Maltese decentralized exchange lead by Forbes 30 under 30 listmaker Reto Trinkler. The exchange has also partnered up with WEG Bank through Nimiq and is set to play a vital role in the execution of the the Nimiq OASIS blueprint. However, ties between Nimiq and Agora.Trade run even deeper, with Trinkler Software (again headed up by Reto) collaborating with Nimiq on advanced blockchain research. Recently, it was announced that the first findings of this collaboration was the Albatross consensus algorithm. This proof-of-stake consensus algorithm is reported to be capable of performing close to the theoretical maximum for a single blockchain. This could potentially result in Nimiq shifting away from its current proof-of-work consensus algorithm in the future. Nimiq’s acquisition of a stake in WEG Bank helps to further strengthen its existing partnership with WEG Bank and can only be viewed as being beneficial to the project’s commitment to Nimiq OASIS. The acquisition also helps put Nimiq on the map and could result in the project establishing further meaningful partnerships with existing WEG bank shareholders such as Litecoin, TokenPay or the twenty crypto projects set to be selected for corporate accounts at the bank this year. With the explosive progress of Nimiq in 2019, it could be one of those hidden gems that are worth taking a closer look at. The partnership and stake in WEG Bank could just be the start of a very bright and disruptive future.